If you’re looking for some easy keto recipes to add to your Easter dinner menu, then you’re in the right place. There’s no need to go hungry or take a cheat day when a holiday rolls around — even a holiday known for chocolate eggs and hot cross buns. With the number of keto easter recipes out there, there’s no need to compromise — you can have your Easter and stay in keto, too. Even if your Easter meal companions aren’t keto, these recipes are nutritious, delicious, and sure to please the masses — children and adults alike. Easter “dinner” often means Easter brunch and vice versa. If you’re going for more of the brunch theme, these recipes are recipes are a fantastic choice. Even non-keto enthusiasts will enjoy these colorful, hearty dishes. Bacon, egg, and cheese. Something about saying those three foods together just sounds right. 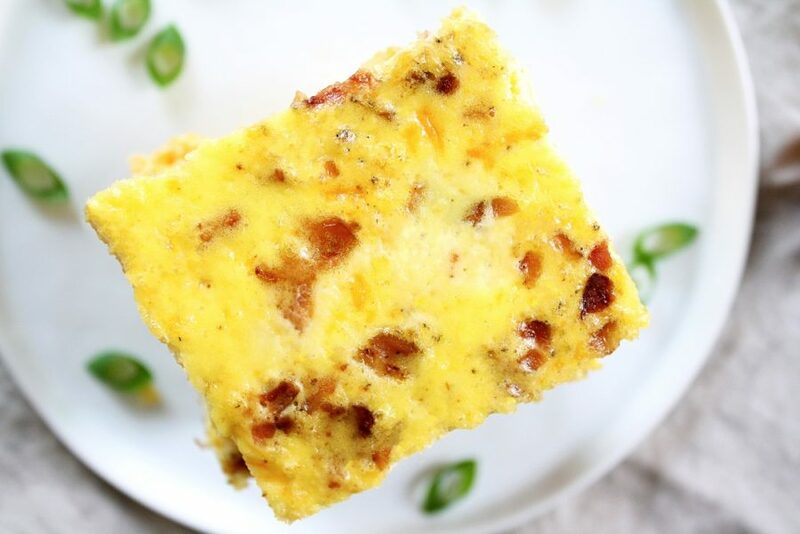 This breakfast casserole is an excellent dish for big groups; it’s easy to make, and you can adjust the servings accordingly. The best part — If you happen to get away with some leftovers (doubtful) this casserole reheats beautifully. The best part about brunch is having sweet and savory in one meal. If you’ve already nailed down your savory option for your Easter brunch menu, these fluffy keto waffles make an excellent sweet compliment. 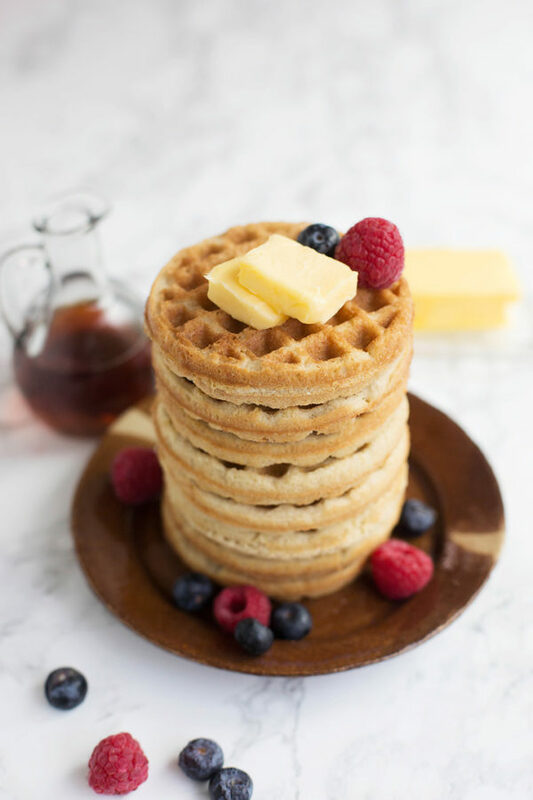 You can top these delicious waffles with butter, sugar-free syrup, or you can go all out and do a toppings bar with berries, whipped cream, and sugar-free chocolate chips. Keto waffles provide the mouthfeel of their higher-carb counterparts, with only two net carbs per waffle and 6 grams of protein. 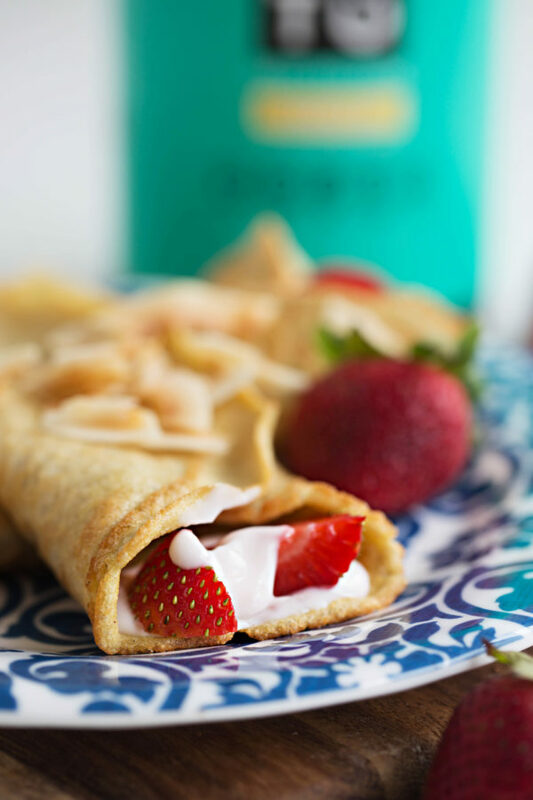 If you really want to impress your guests, add a little French twist to your Easter brunch menu with these low-carb, protein packed almond flour crepes. You can make them sweet with some ricotta cheese and fresh berries, or you can go savory with some smoked salmon and cream cheese. Each crepe has only 1 net carb, so you’re safe to experiment with the filling. Who doesn’t love avocado toast? One of the best things about this recipe is that it takes only a short prep time, and you get a huge flavor pay off. You can get creative with it too; add some different vegetables or mix up the herbs. If you’ve got a lot on your main menu already, serve these as an appetizer for your guests. Or maybe you want to make it a “do it yourself” avocado toast buffet, laying the ingredients out so your guests can construct their own perfect avocado toast meal. However you serve it, this versatile recipe is sure to please. 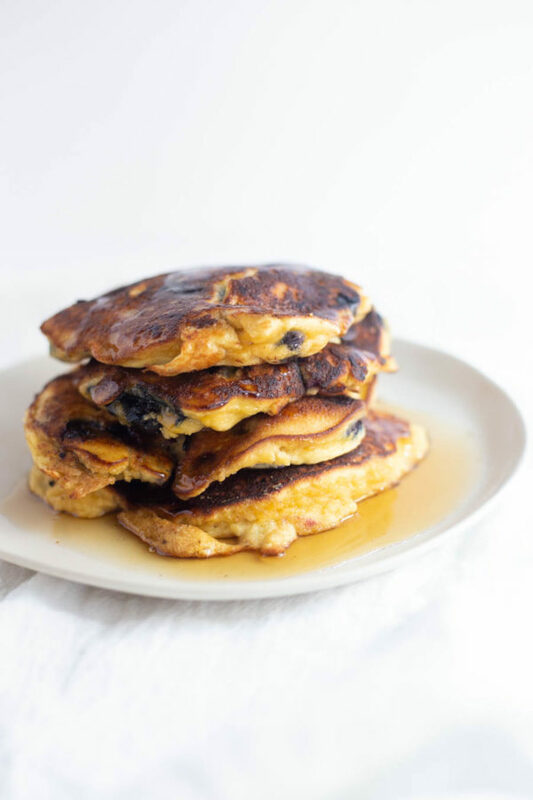 Pancakes are a brunch staple. There’s nothing quite like the smell of warm pancakes cooking on the stove. Whether you’re serving little ones, teens, adults, or grandparents — everyone loves berry pancakes. You can add blueberries, raspberries, strawberries, or all three. The brilliant red, blue, and purple colors that the berries add not only brighten up your brunch table, but they provide you with a good dose of antioxidants as well. Nutritious, and delicious? It doesn’t get better than that. Most quiche recipes call for a whole bunch of cream. While this makes for a rich and delicious egg dish, it won’t work if you’re sensitive to dairy. 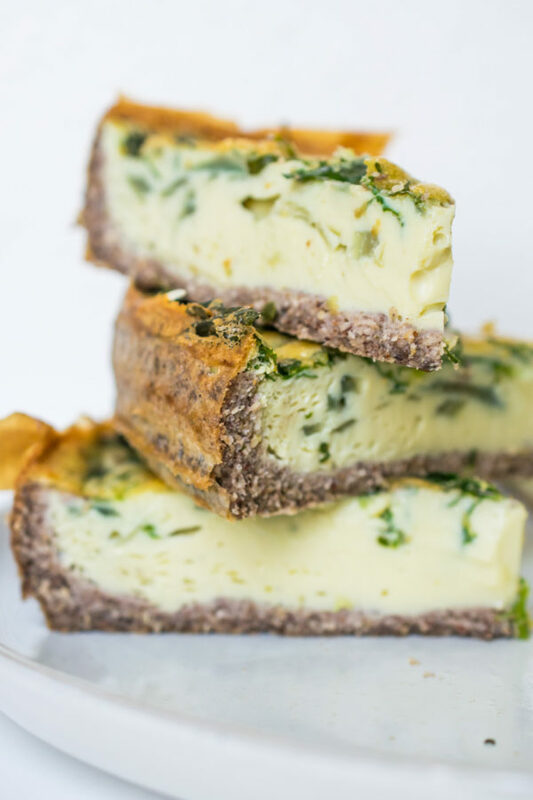 This dairy-free keto quiche recipe retains all of the rich, bold flavor, without any of the dairy. You can make one big quiche for the table, or a batch of mini quiches for your guests. If you go the mini quiche route, you can even switch up the fillings for a variety quiche platter — the possibilities are really endless. Ham is an Easter staple. While the origins of Easter ham go back to biblical times, many people believe its place on the Easter table comes from the traditional curing season of ham. Pigs were traditionally slaughtered in the Fall, and cured throughout the Winter to preserve it. When Spring rolled around the ham was perfectly cured and ready to eat — just in time for Easter dinner. 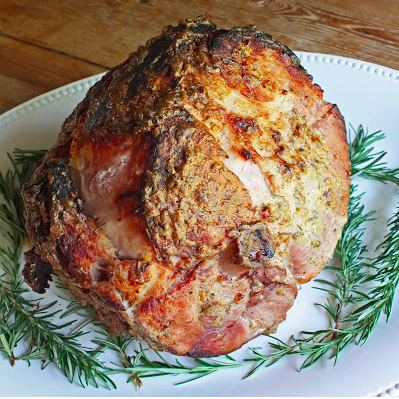 This delicious rosemary and mustard crusted baked ham makes the perfect centerpiece on your holiday table, and you’ll have enough to feed an army. 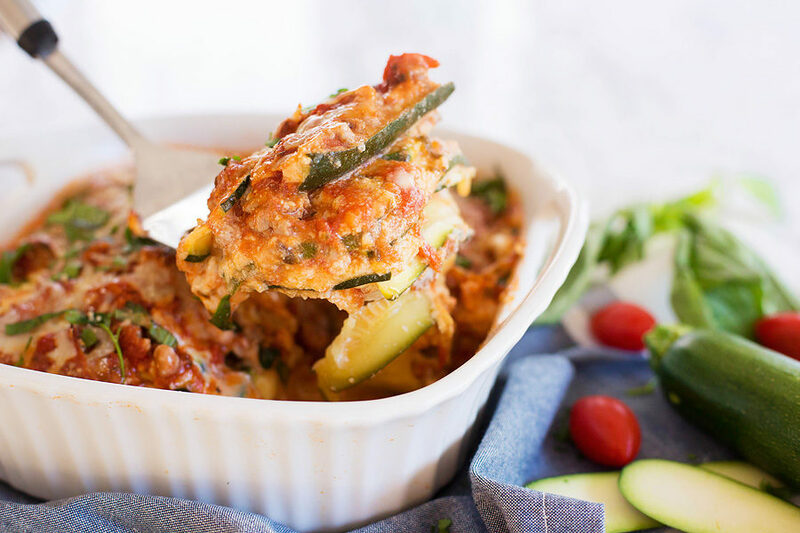 For an Italian twist to your Easter dinner, whip up a batch of this flavor-packed low-carb keto lasagna. Easter is an international holiday, why not reflect that on your dinner table? Lasagna is a fan favorite, and it’s an excellent option for large dinner parties. You can make it your main dish and build sides around it, or you can make it a side dish alongside some pork loin or fish. 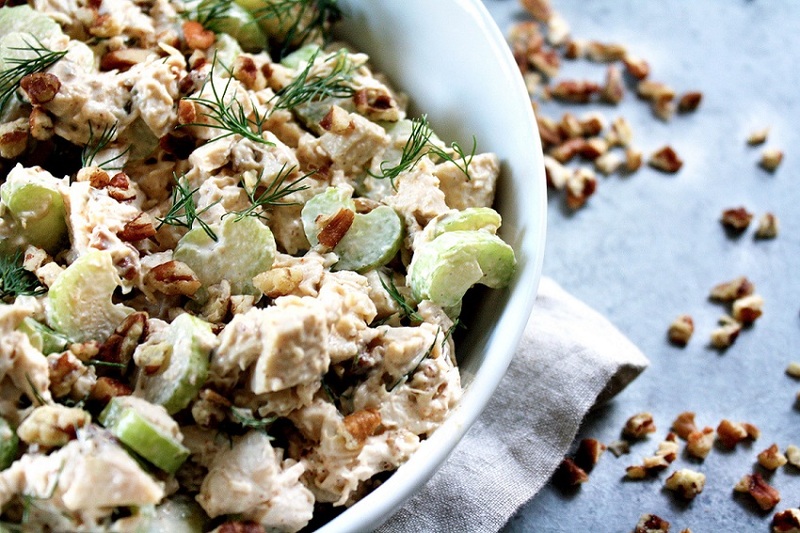 Keto chicken salad is a fantastic option for your Easter “dinner” that’s more like an Easter lunch. This recipe is super simple to make, and actually tastes better if you make it a day in advance and let the flavors mix and absorb into the chicken. If you already have a few main dishes in mind, you can have your chicken salad as a side dish, or serve it with your favorite keto crackers as an appetizer. These keto pork chops burst with flavor and make a fantastic main dish, especially if you’re feeding a smaller group. 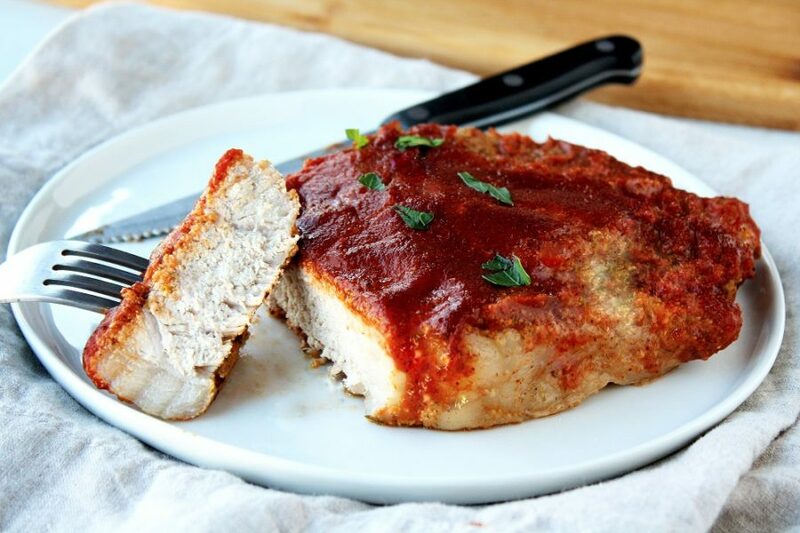 You can top your pork chops with whatever you like, but this recipe includes a keto-friendly BBQ sauce that you won’t believe is sugar-free. If you’re hoping to impress your dinner guests, these juicy, tender pork chops are the way to go. Warning: you may enjoy this recipe so much it becomes part of your weekly rotation. 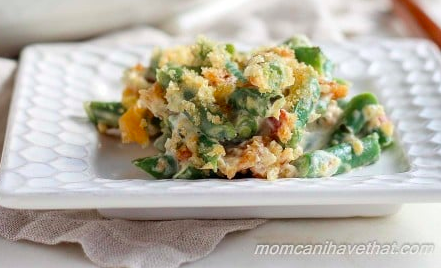 Green beans are an Easter staple. There are plenty of ways to prepare your green beans, but let’s be honest — green bean casseroles win every time. While most green bean casseroles are topped with bread crumbs, this recipe calls for pork rinds which give the dish a rich, savory flavor while satisfying your need for crunch. The best part — with only four net carbs per serving, you can go back for seconds (or even thirds). We can’t all be Michelin star chefs, but the ease of making a dish as flavorful as this pork roast in your Instant Pot might make you feel like one. Running short on time? Just throw the ingredients into your Instant Pot, turn it on, and walk away. 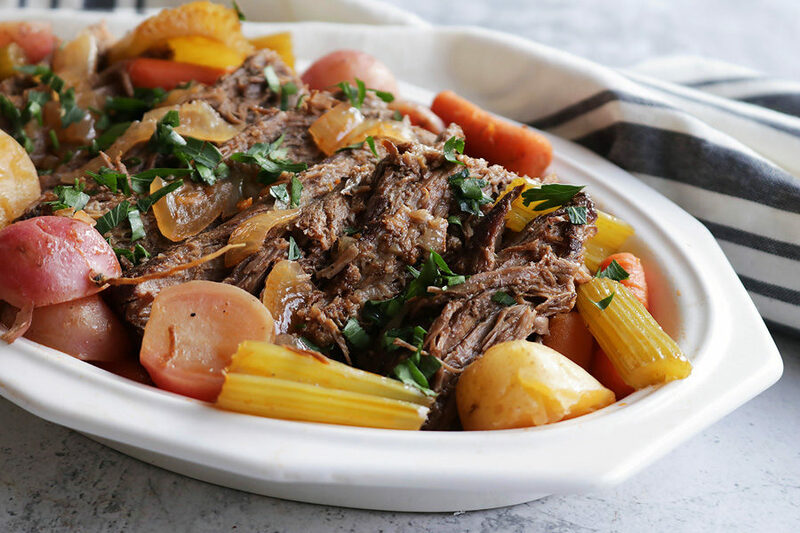 You’ll want to add in the vegetables towards the end, but other than that this one-pot pork roast couldn’t be easier. 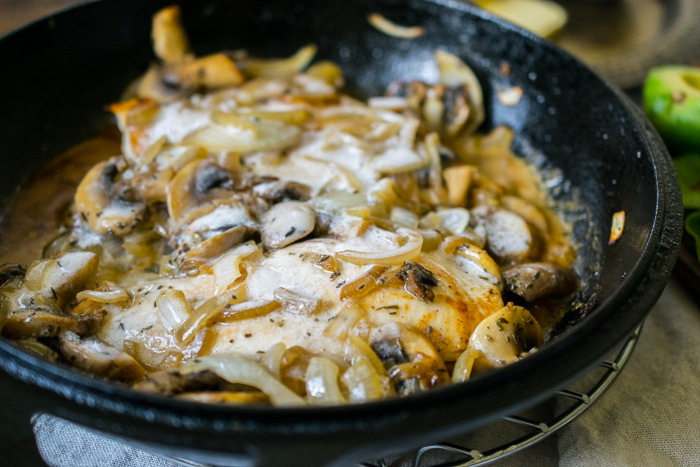 You really can’t go wrong with this creamy mushroom chicken dish. Sometimes it can be difficult to please everyone’s palate, but no one’s going to complain about chicken smothered in a creamy mushroom sauce. And if you’re strapped for time that’s no problem — this quick dish takes only 25 minutes to make. 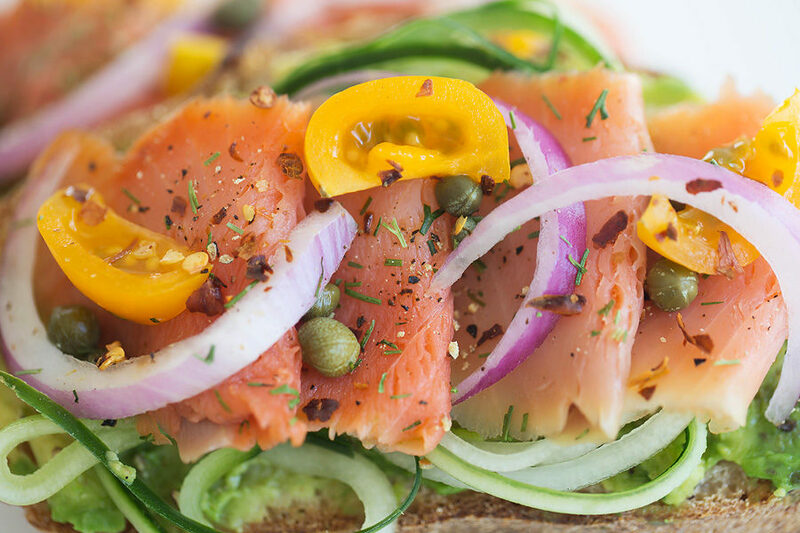 There’s something incredibly refreshing about biting into a salmon-topped cucumber. If you’re looking for an appetizer to keep people satisfied while your main Easter meal is cooking, then look no further than this smoked salmon pate recipe. 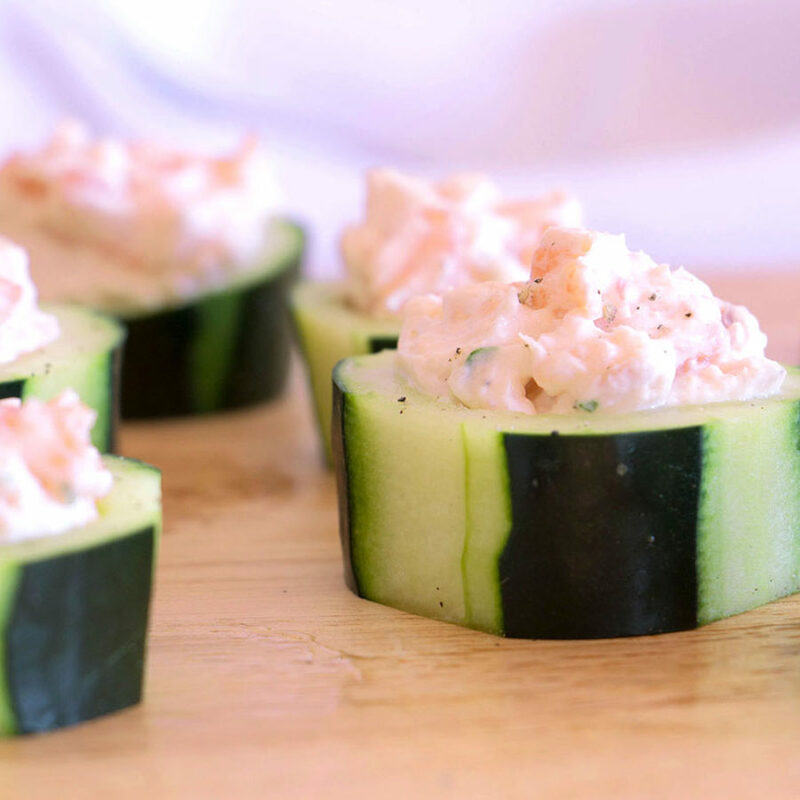 The green and pink colors of the salmon and cucumber add that classic pastel look, and you can prep these little pate bites in just 15 minutes. Like most holidays, Easter can get a little tricky when it comes to monitoring carb intake, especially when there are appetizers being passed around. No worries for you though — each one of these cucumber pate bites has less than one gram of carbs. Following a keto diet doesn’t mean you have to miss out on this Easter staple. 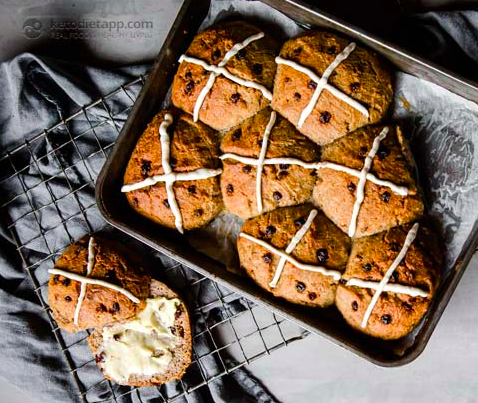 A traditional hot cross bun is a spiced sweet bun made with currants or raisins and marked with a cross on top. Back in the day, hot cross buns were eaten to mark the end of Lent. Some sources say that the tradition of hot cross buns goes all the way back to the 14th century. While a traditional hot cross bun clocks in around 20 grams of carbs per serving and is loaded with wheat and sugar, these low-carb buns are only 7 grams of carbs and are sugar-free. Whether it’s Easter brunch, lunch, or dinner, a side dish of deviled eggs are always a fan favorite. This naturally keto-friendly appetizer allows the often breakfast-forward egg to shine in the spotlight of midday or evening. 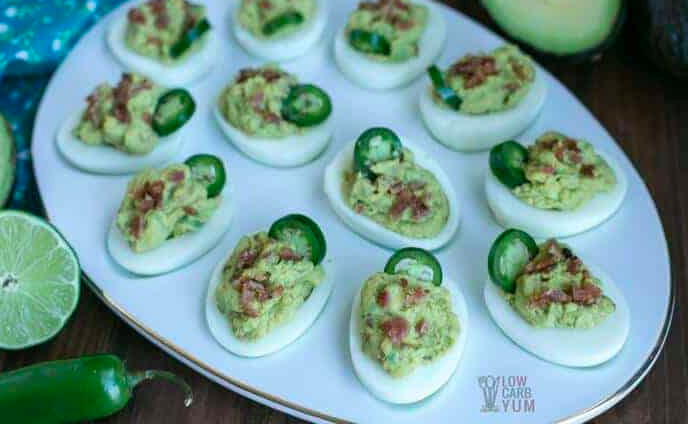 Even if you’re attending a non-keto easter, your friends and family will be delighted with an avocado twist in this deviled eggs recipe. Lay out a platter of these rich and creamy stuffed mushrooms for your guests and they’ll be gone in minutes. 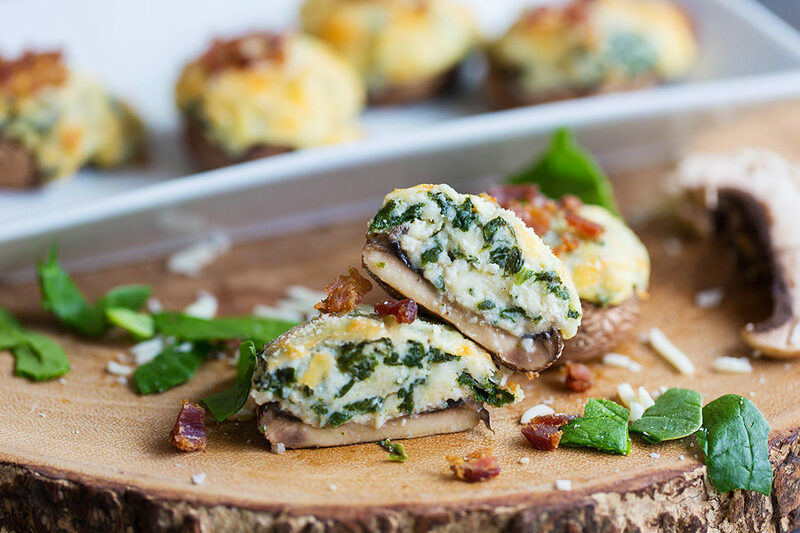 With only one net carb per mushroom, these delicious appetizer bites are a no-brainer for your keto Easter dinner menu. 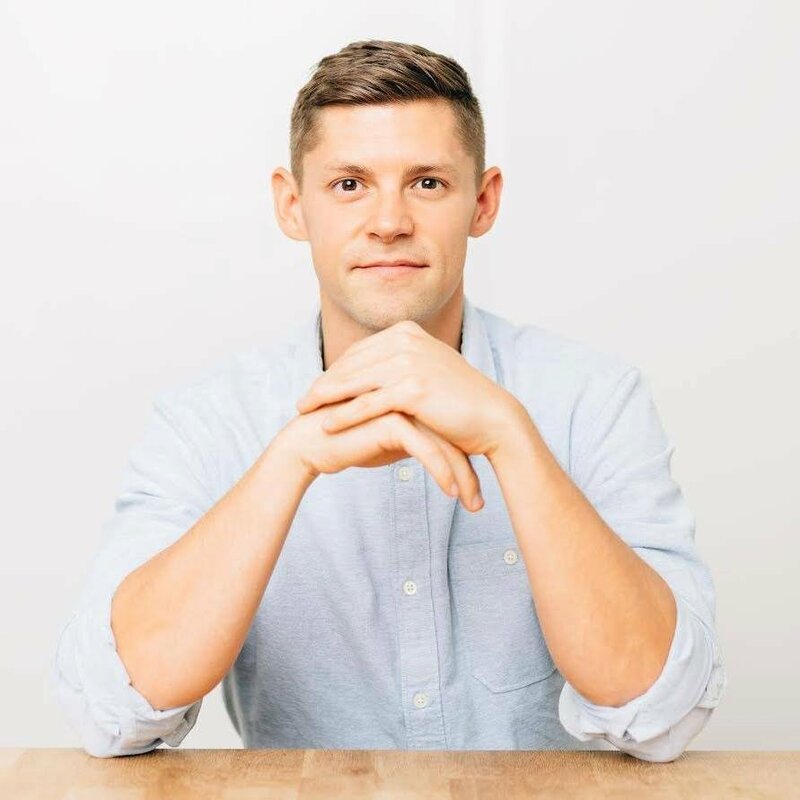 If you’re worried that people will fill up on these apps (a genuine concern), you can even make them a side dish to go along with your Easter dinner meal. 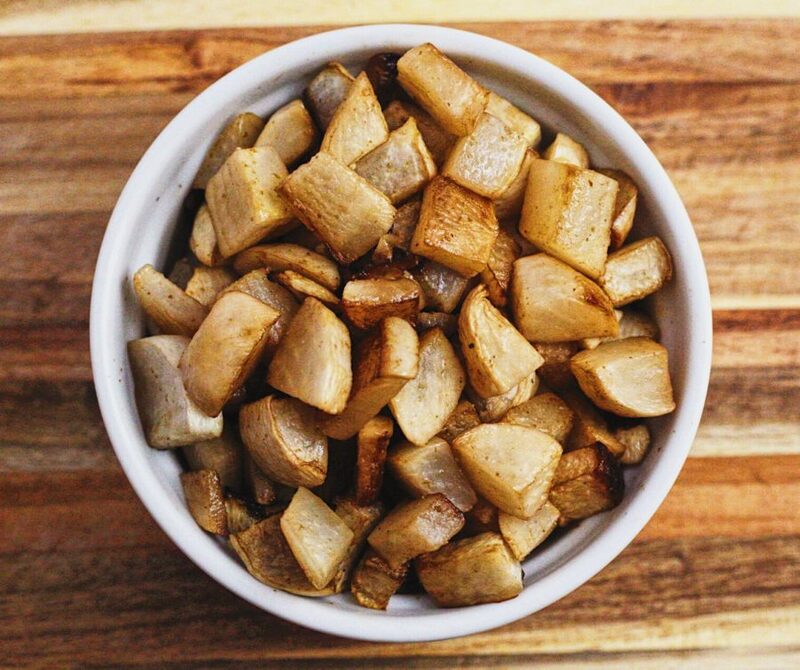 Turnips make a fantastic alternative to potatoes. They have the carb-like mouthfeel, with only a fraction of the net carbs due to their fiber content. The balsamic drizzle and garlic in this recipe really make the turnips pop. As a side dish, it pairs beautifully with baked ham or a pork roast, but these potato-like root vegetables would enhance any meal. Spinach as a side dish? Meh. Spinach plus cream as a side dish? Yes, please. 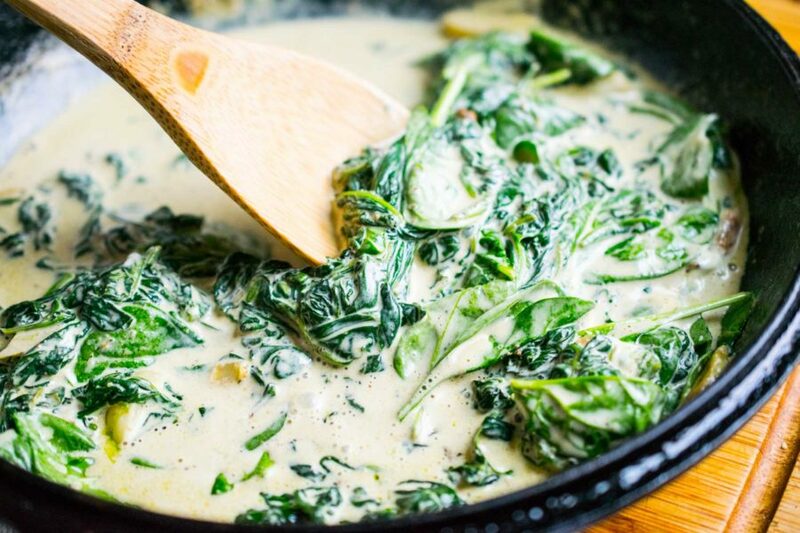 This spin on your classic creamed spinach recipe is a keto dream come true. While you may have a tough time selling people on plain old spinach as a side dish, throw in some cheese, ghee, and spices and you’ll see smiling faces all around. Spinach is an incredibly nutrient dense vegetable, but some of those nutrients (vitamins A, K, and E) are best absorbed when consumed with fat. So you’re welcome, you just found a new way to get more vitamins in your diet. When in doubt, wrap some bacon around it. 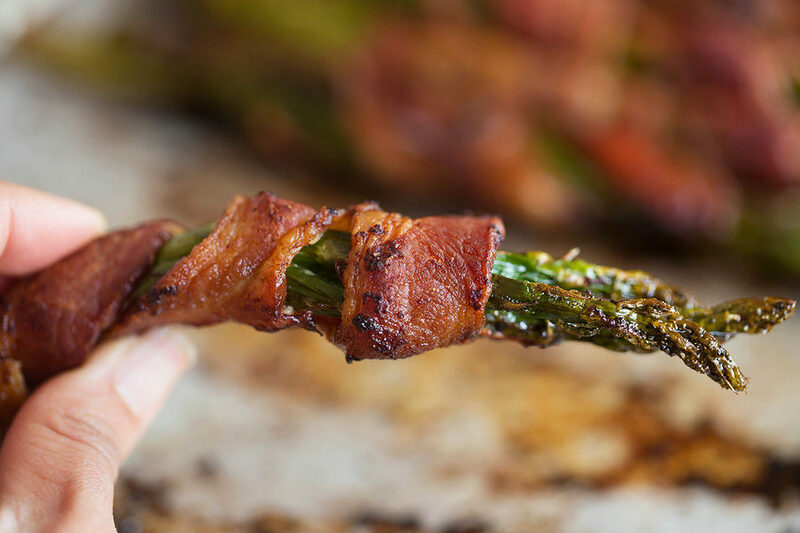 This bacon wrapped asparagus recipe is a fantastic choice if you want to add a little green to the Easter table. The bacon and asparagus travel great, so if you’re not hosting Easter at your place, you can easily make this ahead of time and just reheat in the oven for 10 minutes or so to get that bacon warm and crispy. 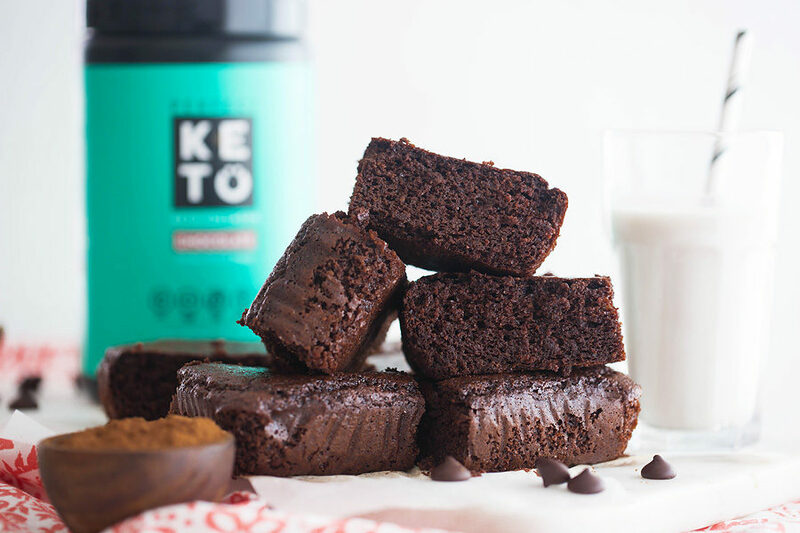 Here are some fantastic keto dessert ideas to help you satisfy your sweet tooth, without sabotaging your diet. 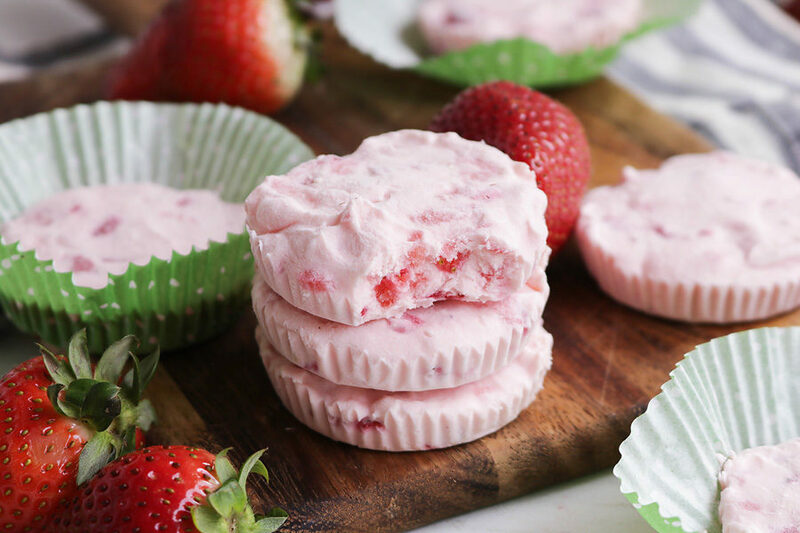 These strawberry cheesecake fat bombs make an excellent addition to your Easter dessert menu. They only take 15 minutes to make, and they add a pop of pastel pink to your table — Easter style. Dip them in some sugar-free chocolate sauce for a truly Easter treat. They’re only 1.2 net carbs per fat bomb, so you can pop a few of these delightful treats worry-free. If you’re a chocolate fan, then these delicious sugar-free chocolate brownies are an absolute must for your Easter dessert table. Although brownies may not be a “traditional” Easter dessert, you won’t be hearing any complaints about these delicious, rich, gluten-free, almond flour brownies. And the best part — they’re made with collagen, so you get a little protein kick in there too. If you or anyone at your Easter table is a pop-tart fan, then these keto pop tarts are a must. They’re the perfect combination of breakfast food plus dessert. Most store bought pop-tarts have a list of ingredients you can’t pronounce and are a blood sugar nightmare, but not these guys. 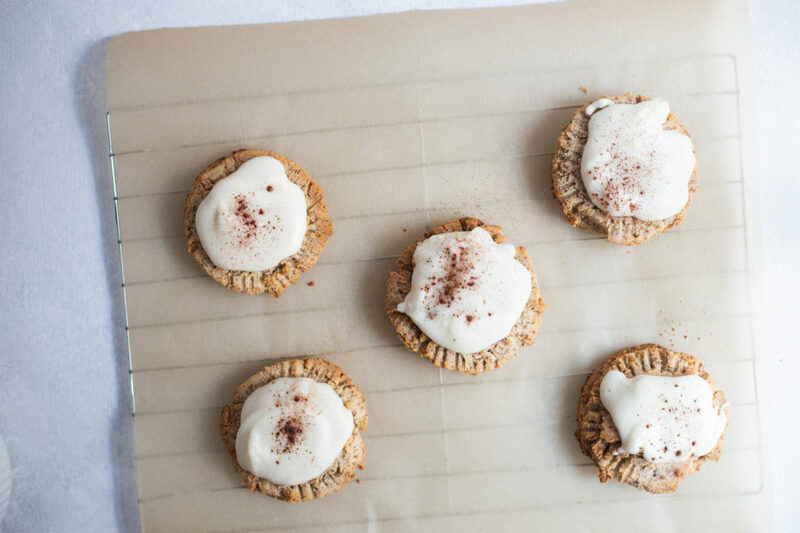 They’re filled with almond butter instead of jam and made with gluten-free, keto-friendly flours, so you get all the satisfaction of a pop-tart with none of the artificial foods and flavorings. For an Easter twist, you can cut the dough into egg shapes and dye the coconut frosting different colors (with natural dyes of course), for some easter egg pop-tarts. There’s something refreshing about the tart and sweet taste combination of lemon bars after a big feast. 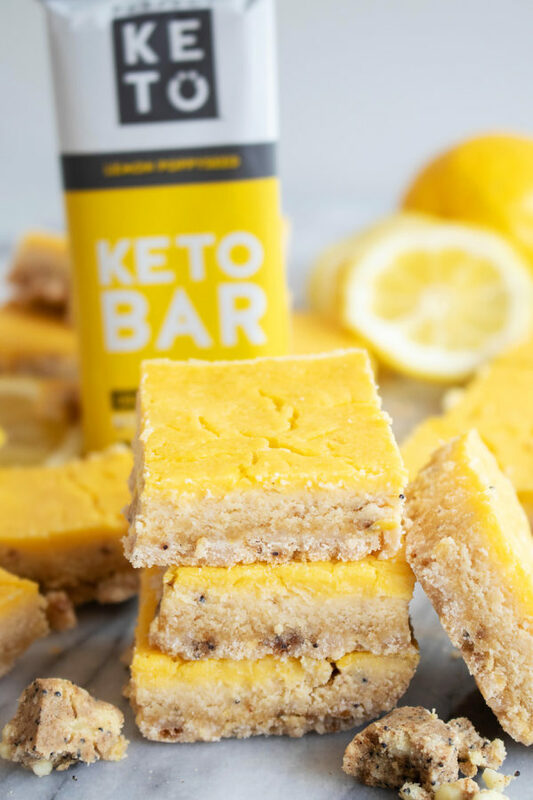 These bars are made with real lemon juice and lemon zest, and unlike traditional lemon bars, they’re completely sugar-free, sweetened only with monk fruit or stevia. And if you’re into aesthetics, the bright yellow color of these bars will add a pop to your dessert table. 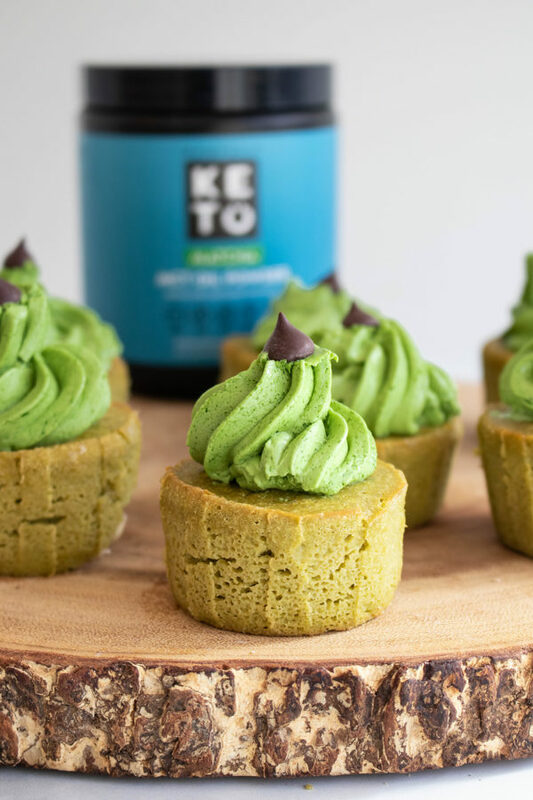 Keto matcha green tea cupcakes make a perfect after dinner treat. Not only are they delicious and satisfying, but they also contain real matcha for a kick of antioxidants. Matcha has been used in Japanese culture of hundreds (if not thousands) of years, and boasts some incredible health benefits including; antioxidant, blood sugar stabilizing, and brain-health supportive[*][*]. Holidays can be a tricky time for keto dieters. With an abundance of carb-heavy foods all around, you really need to come to the table prepared. Luckily, there’s no shortage of delicious keto recipes that are grain-free and low-carb for you to add to your Easter menu.